The book dives into the creation of the film through interviews and stunning behind-the-scenes visuals. In 2011, Patrick Ness published the children’s novel “A Monster Calls,” based on an original idea by Siobhan Dowd, about a boy in England who struggles to cope with the consequences of his mother’s terminal cancer. He’s then repeatedly visited by a monster in the middle of the night who tells him stories to teach him to cope. The book was adapted into a film by director J.A. Bayona (“The Impossible”) and Ness himself, and stars Lewis MacDougall (“Pan”), Sigourney Weaver (“Alien”), Felicity Jones (“The Theory of Everything”) and Liam Neeson (“Schindler’s List”). Now, there’s a new book out now entitled “A Monster Calls: The Art and Vision Behind The Film” which dives deep into the creation of the film through interviews with the cast and crew and stunning behind-the-scenes visuals, such as concept art and on-set stills. They delves into the special effects that bring the monster to life and the creation of the animated segments that accompany the monster’s stories. Check out some exclusive images from the book below. “A Monster Calls” made its world premiere at the Toronto International Film Festival this past September. It later traveled the festival circuit to Fantastic Fest and the London Film Festival. It will open in select cities in the United States on December 23 and the nationwide on January 6. 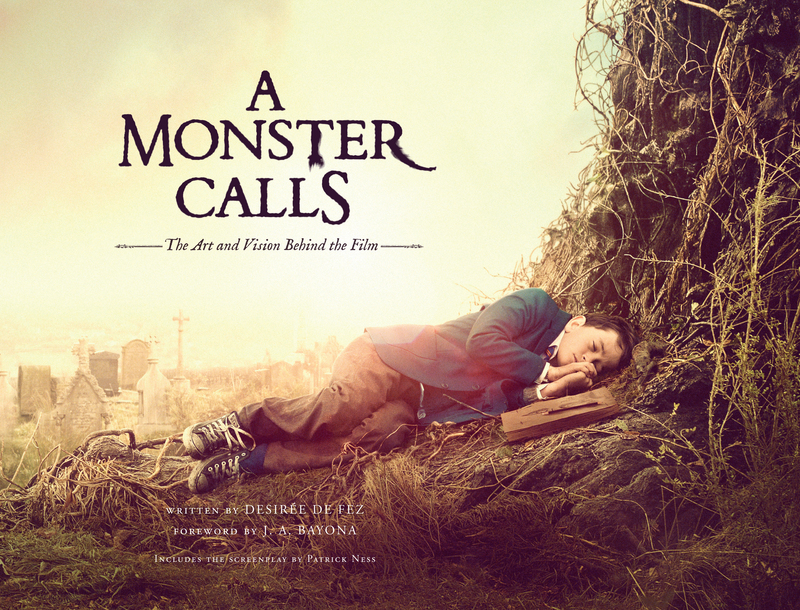 “A Monster Calls: The Art and Vision Behind The Film” is available to purchase on Amazon now. 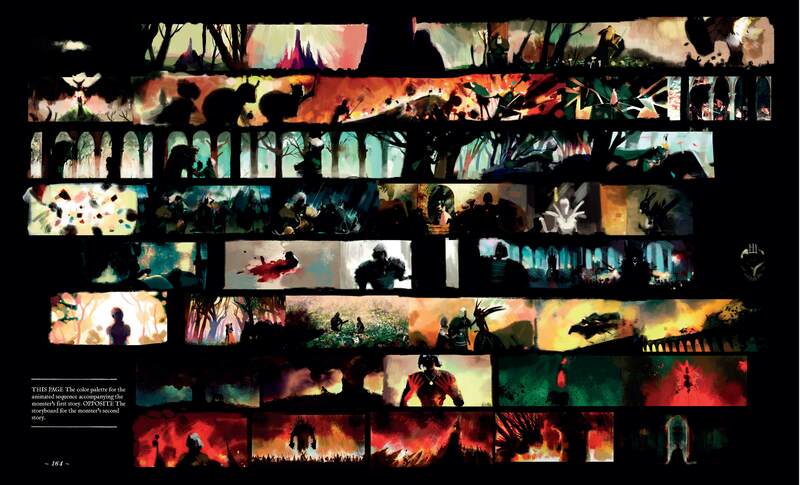 Photo provided by Insight Editions from A Monster Calls: The Art and Vision Behind the Film. © 2016 A Monster Calls, Telecinco Cinema, S.A.U, AIE, Películas La Trini and Apaches Entertainment, S.L. All rights reserved.